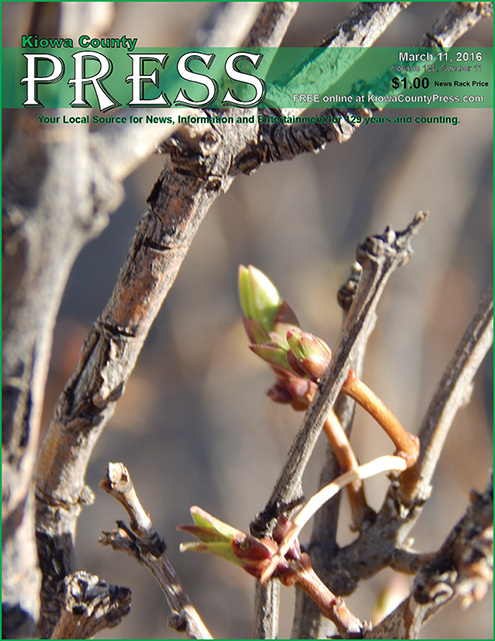 From the front page of this week's Kiowa County Press - trees ready to leaf out for spring. Photo by Jeanne Sorensen. Interested in submitting your photo for consideration for the front page or to be included in our gallery? Use this handy form, or stop by our office as 1208 Maine Street, Eads.